Conflict in Gaza has been ongoing for as long as we can remember. 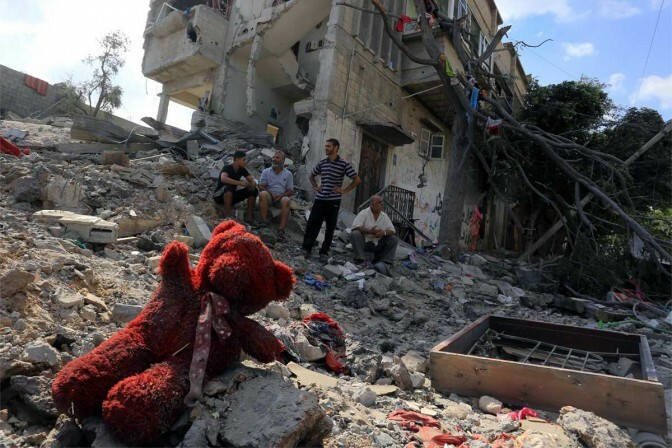 Large parts of Gaza have been destroyed, including schools, hospitals and public areas. Over half a million people were left homeless. Now, those who have managed to survive the brutal conflict have been left to rebuild their homes, their city and their lives. Can you imagine if you were in that situation? Can you imagine coming home from work and finding rubble instead of your home? Though a lot of work needs to be done in order to rebuild their lives, we can only support them in their time of need. I am helping to rebuild a house in Gaza, please support me in my cause, no one should be without a roof over their head. Whatever little or large you can donate will make a HUGE difference.